Hardwood frame and legs in a brown finish with a double wall back of hand woven natural rattan peel. 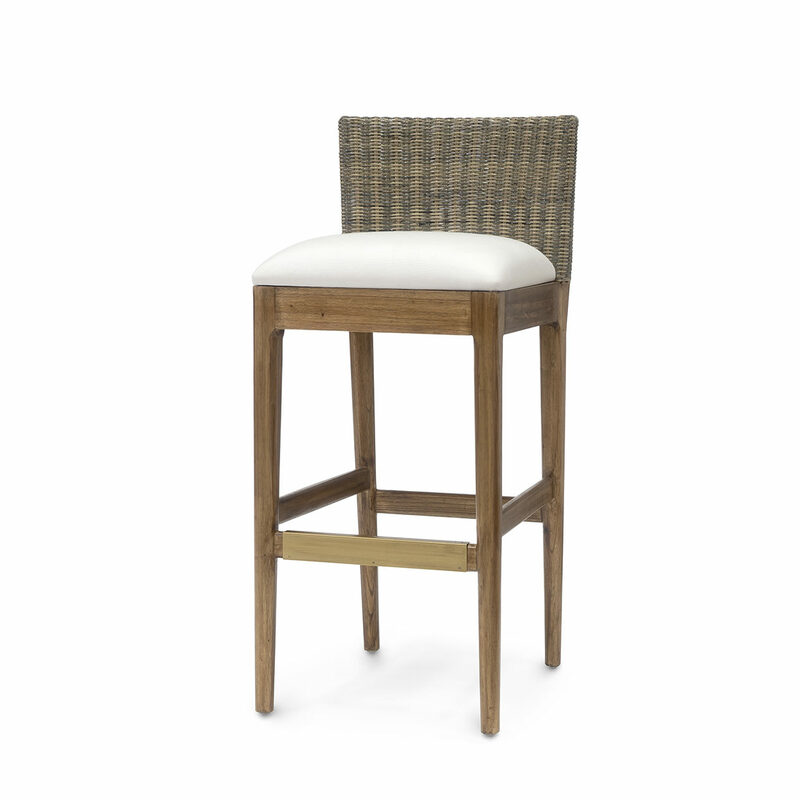 Barstool comes with a fixed upholstered seat and an antique brass metal footrest on front strecher. Coordinates with the Milan collection.